Excel successfully transitioned the Site-wide remediation of a former scrap metal storage and recycling facility from traditional New Jersey Department of Environmental Protection (NJDEP) oversight to a Licensed Site Remediation Professional (LSRP)-led investigation and cleanup. The project was initiated under New Jersey’s Underground Storage Tank (UST) program with the closure of several underground storage tanks and remediation of soil and groundwater through excavation of soil and open-excavation recovery of free-phase product and groundwater. Following completion of the initial remedial action to address the USTs and grossly contaminated soil and groundwater, the project transitioned to a Site-wide PA/SI/RI to investigate and remediate multiple Areas of Concern (AOCs) to prepare the property as part of a regional redevelopment effort. During the transition to a Site-wide investigation and remedial action, the Department could no longer devote the personnel and/or the appropriate resources to review documents and provide oversight for the ongoing work and the project stagnated. 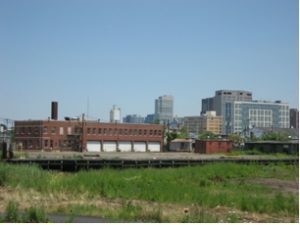 In order to meet the property owner’s goals and schedule for redevelopment, Excel recommended opting into the LSRP program soon after the Site Remediation Reform Act (SRRA) was signed into law on May 7, 2009. Excel completed the characterization and delineation of Site soil and groundwater in early 2010 and implemented a Site-wide remediation in 2010 to prepare the property for redevelopment. Active soil remedial action has been completed with the balance of work to be completed upon construction of the redevelopment components that will used as part of the Engineering Controls under a Deed Notice as the final remedy. Excel completed UST closure as part of an initial phase of remediation to address gross impacts to soil and groundwater that included soil excavation, open-hole recovery of free-phase product and groundwater, recovery of free-phase product and groundwater from recovery trenches, and treatment and re-injection of groundwater through a groundwater treatment system designed and constructed by Excel. Excel implemented a Site-wide Preliminary Assessment, Site Investigation, and Remedial investigation to identify AOCs, characterize, and delineate Site soil and groundwater quality. At the recommendation of Excel, the client opted into the newly developed LSRP program since the NJDEP was not providing the necessary resources for the review of documents and oversight and the project had become stagnant. Excel’s designated LSRP then directly managed and provided oversight for the completion of remedial investigation activities and further soil and groundwater remedial action under an aggressive time-frame prompted by the redevelopment time-lines. Excel completed the remedial action of soil as necessary to prepare the property for redevelopment. The final remedy will be completed during construction with the redevelopment components serving as part of the Engineering Controls that will be used to cap the Site as part of a Deed Notice.